With the capabilities, proportions and price that fit between the light- and heavy-duty class, the Titan XD can appeal to wider buyers’ base. The all-new XD entered the scene for the 2016 model year and with a variety of options and great diesel engine this truck also combines attractive styling. Nissan expanded the Titan XD lineup with the regular cab version for the 2017 model year and also added several new package options. As the things now stand, the 2018 Nissan Titan XD will add the missing extended cab version while other changes could include new package options and more standard equipment. 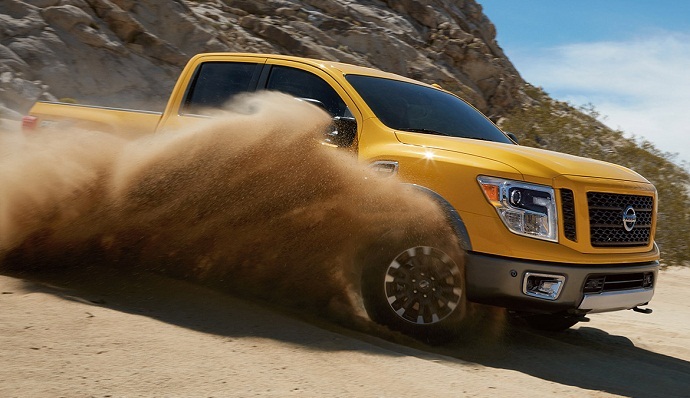 We can now get the Titan XD truck in five trim levels including S, SV, mid-range PRO-4X, SL and top Platinum Reserve. The regular cab and crew cab versions are also available. The single cab model has 8-foot cargo bed and comes in the S and SV trims. The Crew-Cab version carries a 6.5-foot bed. The new 2018 Nissan Titan XD will also be available in the extended cab style or as Nissan calls it the King Cab. The King Cab models have smaller, rear-hinged doors instead of the conventionally hinged, full-size doors on the Crew Cab XDs. The cargo bed on this version should be 6.5-foot in length. On the other hand, the styling is not expected to get any radical change and what Nissan might do to refresh things is a new appearance package. Interior of the model won’t also change much from the current form. The model will feature materials that match the class standards and comfort will also be the bright side of this model. The Titan XD will also boast great build quality and will also have a number of useful storage places inside the cabin. However, Nissan will likely upgrade its infotainment system and might also add more advanced safety features. The model currently offers blind-spot monitors, rear cross-traffic and surround view system. The off-road oriented Pro-4X trim is also interesting for the buyers who like freedom of nature. With the 18-inch alloys wrapped in all-terrain tires, skid plates, Blistein Shocks, a two-speed transfer and a lockable rear differential, this version will be unstoppable. However, if the comfort and more luxury are your priority, the Platinum Reserve trim will bring plenty of chrome accents, premium leather interior, cooled front seats, heated rear row, rear seat entertainment, etc. The 2018 Nissan Titan XD might get the third engine option but Nissan hasn’t said a word about that yet. We like its well-performing and powerful 5.6-liter V-8 Endurance engine. This great engine can produce 390 hp and torque of 394 pound-feet. Nissan will combine this engine with seven-speed automatic transmission. The standard rear-wheel drive will have an alternative in the four-wheel drive. Another great engine option will be a 5.0-liter V-8 Cummins turbo diesel. With this engine 310 hp and 555 lb-ft of torque will be at the disposal. Nissan currently uses a 6-speed automatic gearbox with this engine. With the Endurance V-8, the XD can tow up to 11, 270 pounds. When the Cummins diesel is under the hood, a max towing capacity is 12, 510 pounds. The new 2018 Nissan Titan XD should cost from around $32, 000. The arrival is expected this fall.